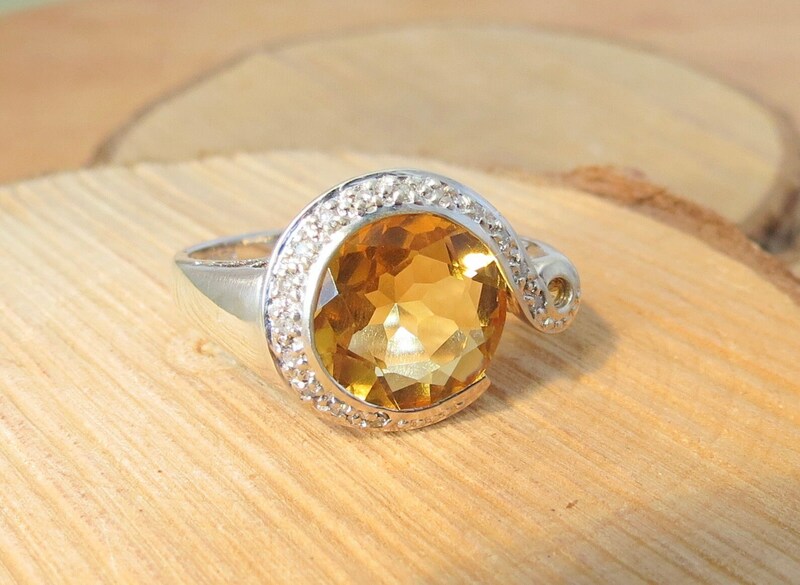 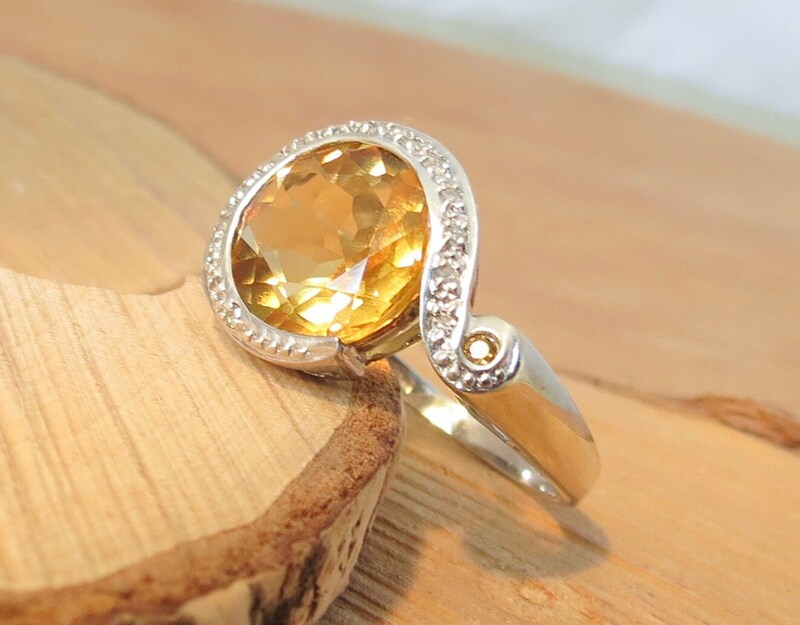 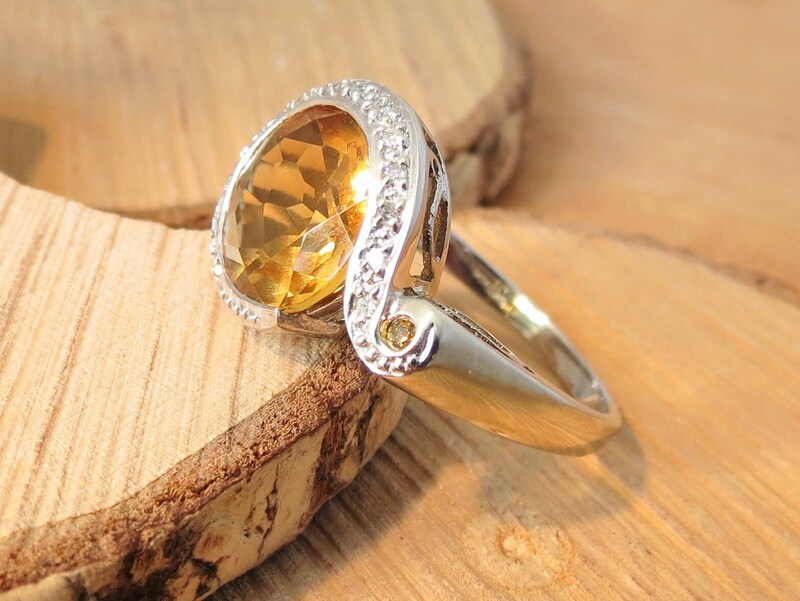 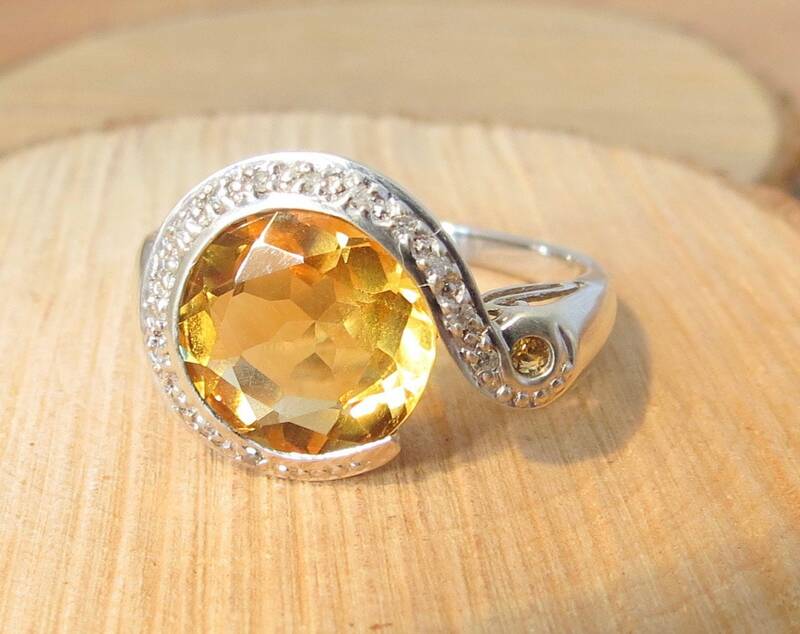 This 9K white gold ring has a multi faceted round cut yellow citrine with a diamond set S style halo and a single citrine accent. 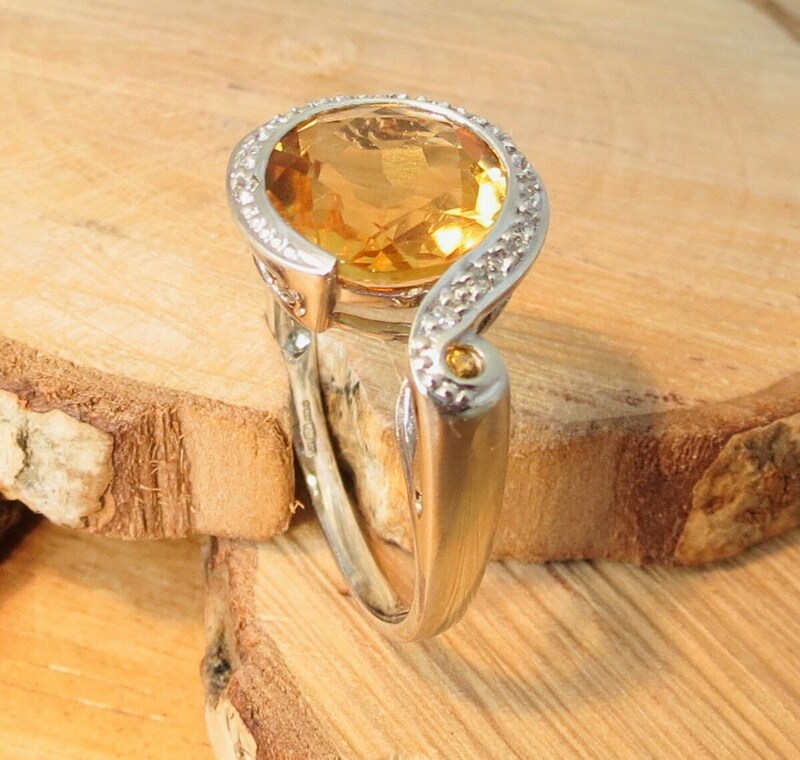 The decorative scroll gallery leads to wide shoulders and a plain shank. 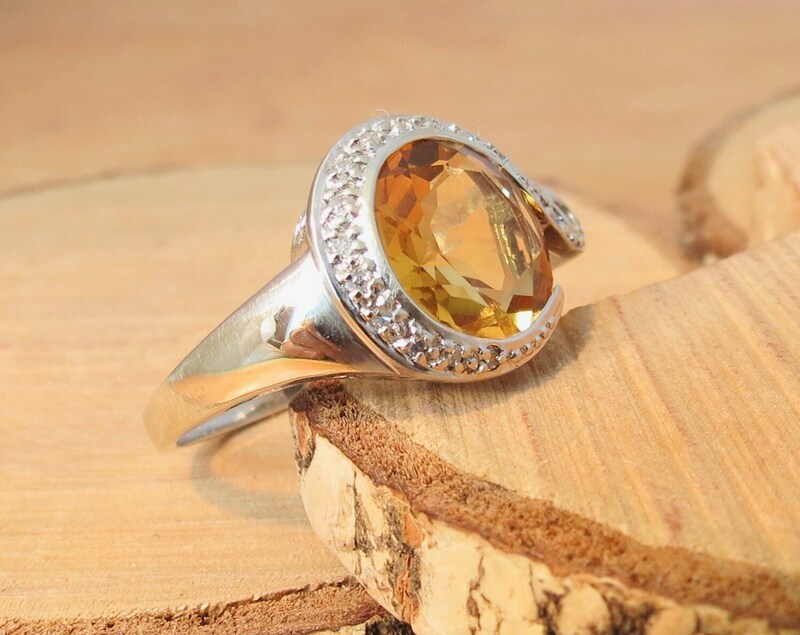 The yellow citrine is in fine condition, no scratches or chips, it has excellent colour saturation and weighs 2.8 Carats. 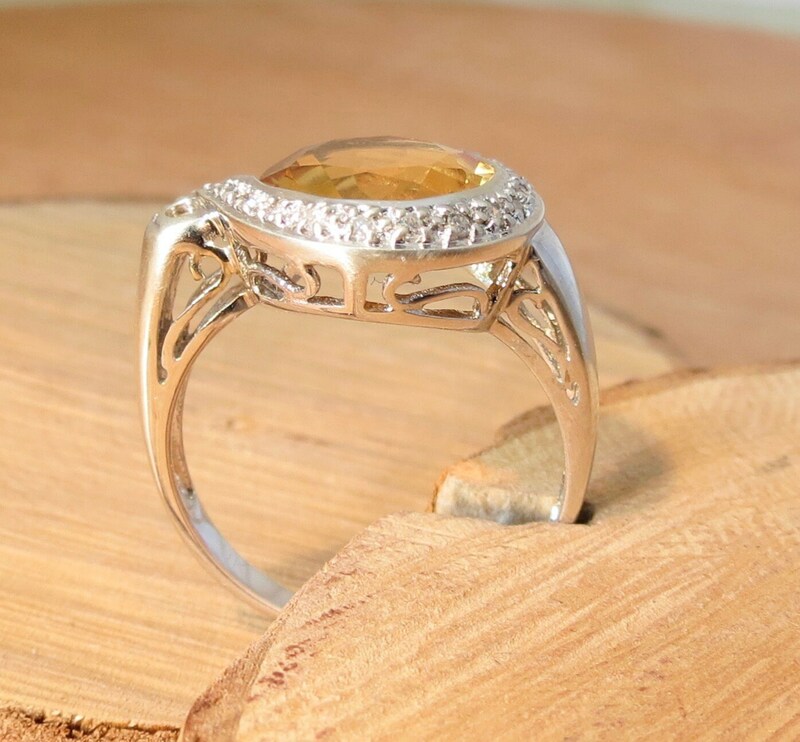 The S shaped halo contains 15 brilliant cut diamonds, each weighing 1 point. 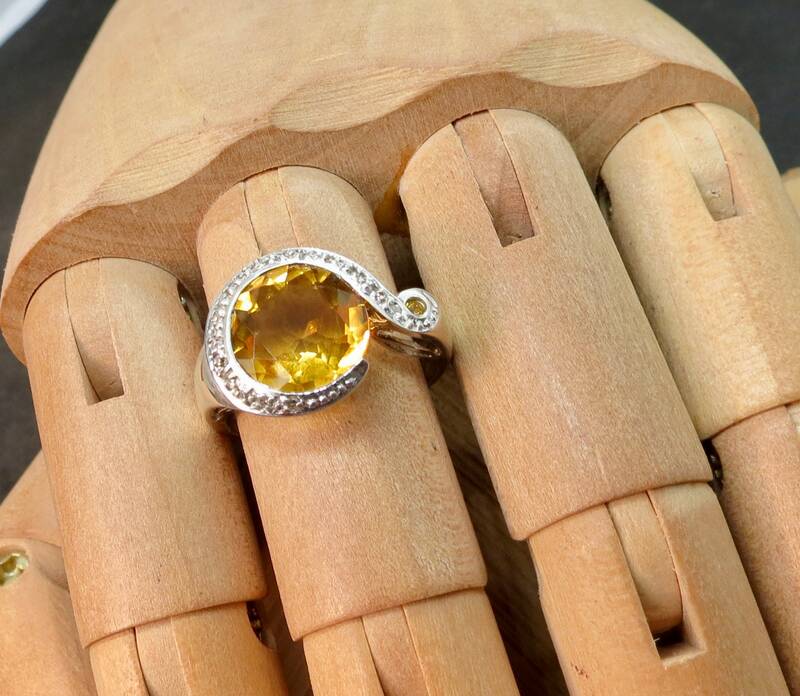 Total diamond weight 0.15 carat. 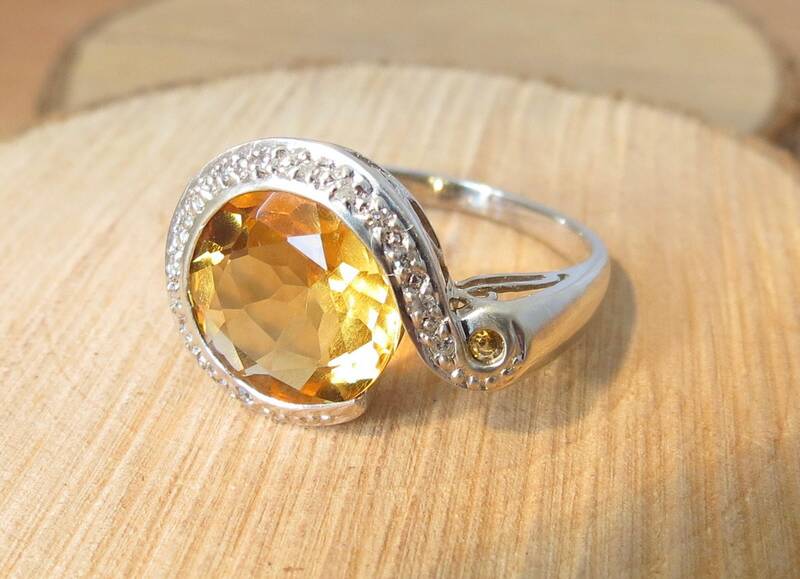 The ring measures 2/3 inch (18mm) at the widest point.